Covered by its statutory goals BELSIPA strives to facilitate and contribute to any investor and salesforce education initiative by banks and/or sector associations whenever these relate to structured products. Together with FEBELFIN Academy, BELSIPA will offer in early 2019 an updated one-day course on structured products as alternative asset class. The course can either be joined as second part of Febelfin Academy’s general annual Asset Management Course but can also be booked seperately. The focus of the 2019 course will be put on how structured products perform in a portfolio context and which pay-off is suited to which portfolio function. The course will be held in both Dutch and French. In 2016 and 2017 FEBELFIN Academy and BELSIPA jointly offered for the first time regular training courses on the manufacturing and distribution of structured products in Belgium. The courses were aimed at professionals dealing with structured products in Belgian financial institutions. Attendees received professional credit points. Within the frame of the annual Investor Day hosted by VFB (Vlaamse Federatie van Beleggers) in October 2016 BELSIPA sponsored the attendance of Capitant, a Belgian student organisation aiming to facilitate interest in the financial services sector amongst graduates. 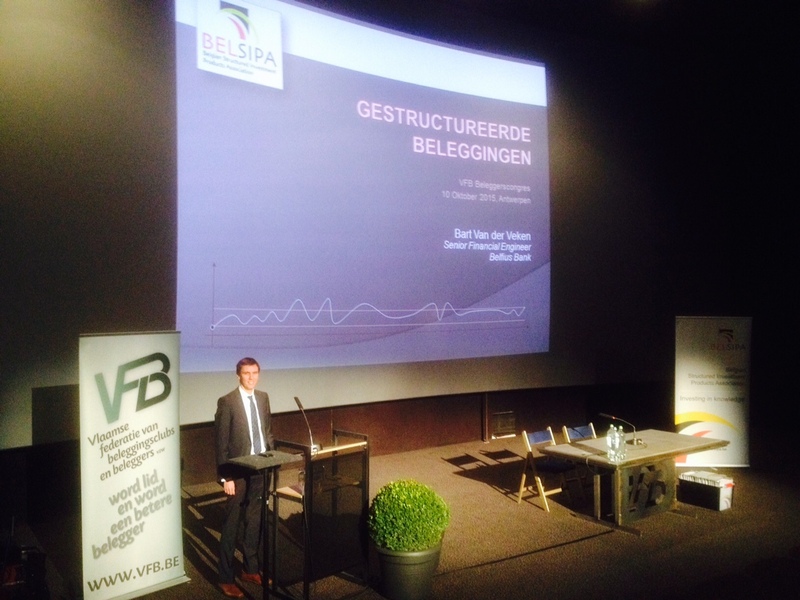 In 2015 already BELSIPA organised a workshop during the annual Investor Day hosted by VFB in Antwerp. The presentation delivered back then by Bart Van der Veken of Belfius Bank can be downloaded here.